Halloween also known as All Hallows' Eve, It's comes around once a year and observed around the world on October 31, the eve before the Western Christian feast of All Hallows. People celebrating Halloween by decorating the outside of their house with lots of stuff to scare those who dare walk up to their door, while kids are giggled with delighted terror as they knock on neighbors door, yelling, "Trick or Treat". 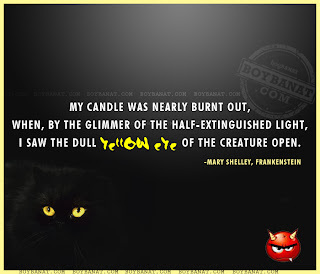 Here's a extensive collection of best, spooky and scariest Halloween Famous Quotes by Famous People, made just for you and to share with. If you have your own favorite Halloween Famous Quotes and Sayings, we would love to hear it, simply add a comment below or just email it to us with a subject: famous halloween, and will posted up for you. Hope you'll like it! 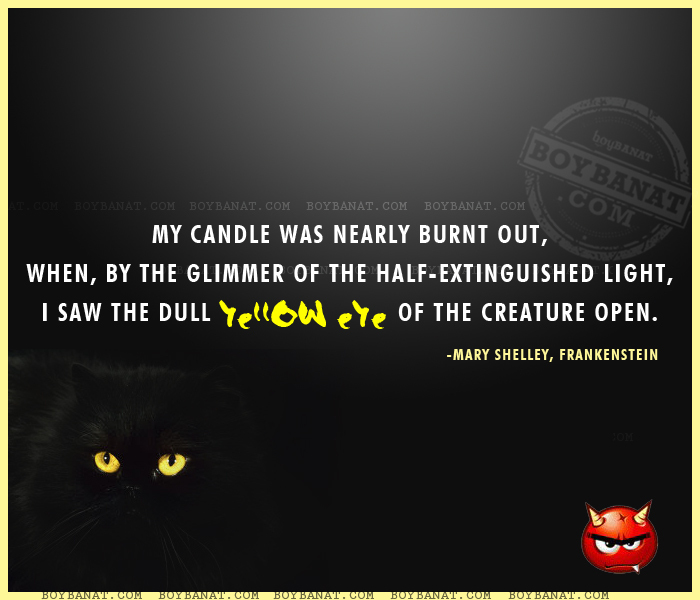 I saw the dull yellow eye of the creature open.